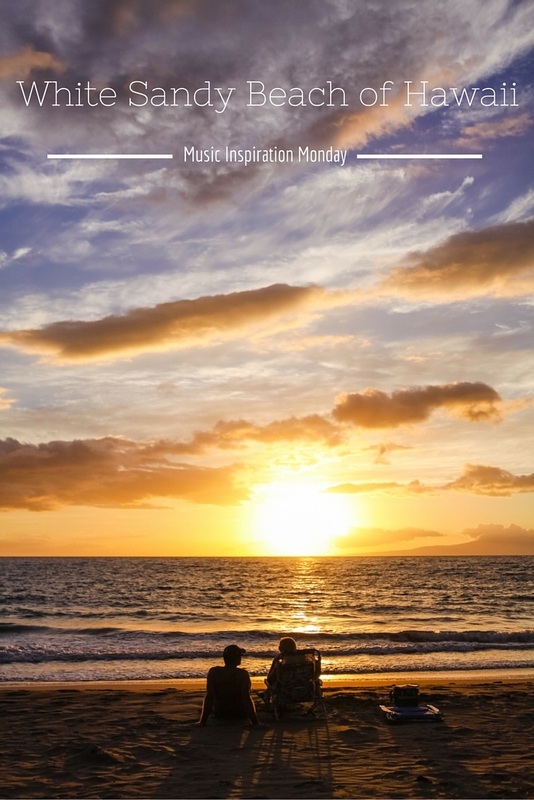 Today we have the song, “White Sandy Beach of Hawaii” sung by Israel Kamakawiwo’ole. I just heard this song recently and loved it. His voice combined with the circling broken chords of the ukulele pair so well with the soothing nature of the ocean waves. How many of you like to listen to the waves? That’s one of my favorite things to do at the beach. I think that life in general can be so chaotic and stressful and noisy. I don’t think that we, as Americans, are very good about resting, relaxing and just enjoying life. I think it’s something we need to recover because it’s the rest and renewal that help give us the strength to deal with the crazy. There’s something so calming and refreshing about listening to the steady gentle tumbling of the waves on the shore. I could just sit there for hours on end – maybe with a book in hand – soaking up the warm sunshine and feeling the peace and comfort of the sounds of the ocean. Take a moment today in the middle of life’s busyness and remember the peaceful calm feeling of standing on the beach and listening to the ocean’s waves. Give yourself time to relax and enjoy life and find renewed strength to live life well. If you liked this post - you might also like some of these posts! Enter your email address below to receive notifications of new posts straight to your inbox!